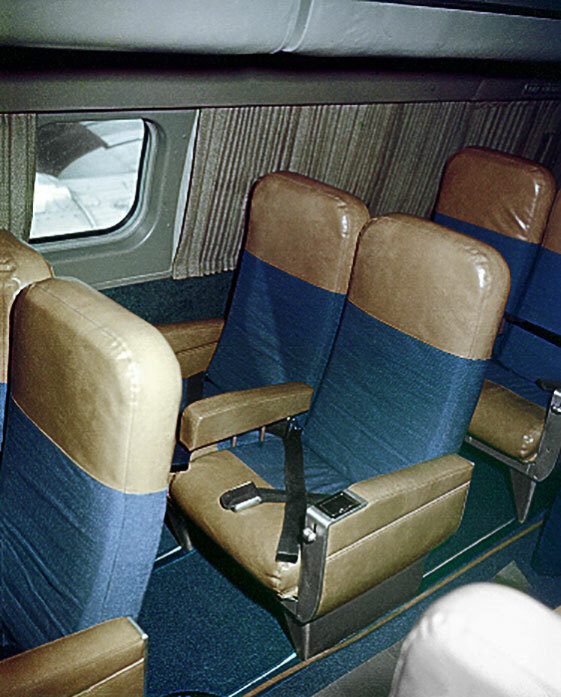 The passenger configuration was five seats across. 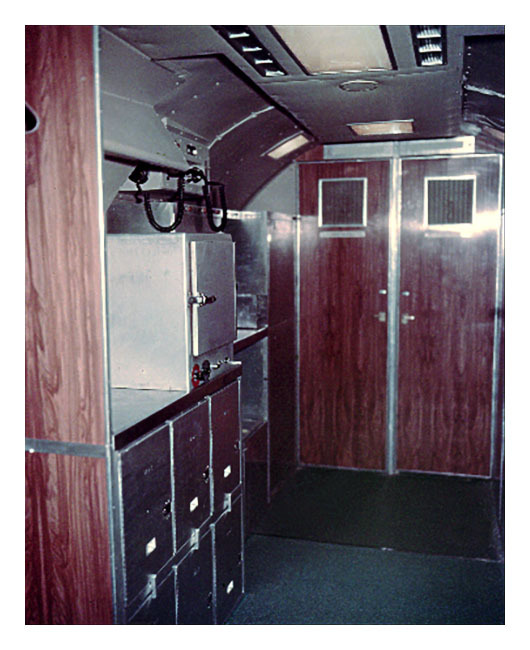 Click on the following links to see photos of the galley and the lavatory. 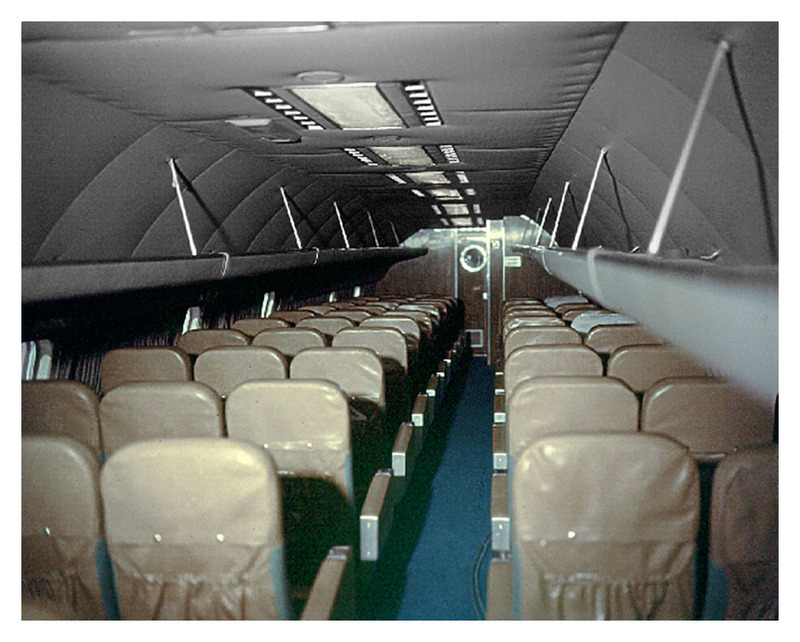 The colors of the original transparencies were badly deteriorated when they were scanned. 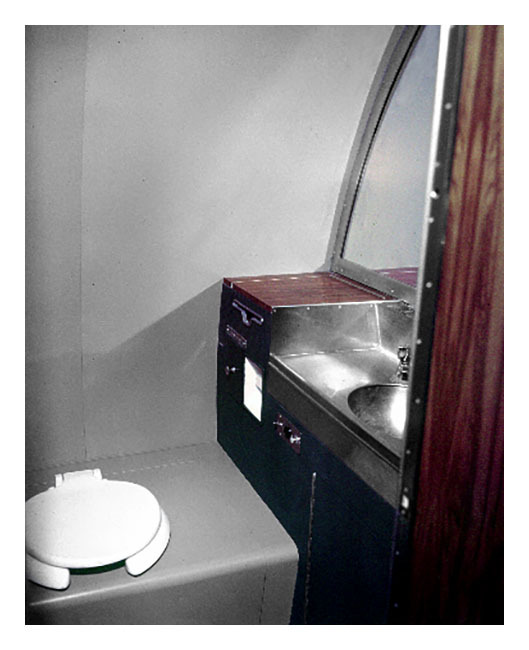 The original colors are unknown.